The main purpose of implementing a kanban inventory management system is to maximise output by reducing waste. You can read about what Kanban is here. 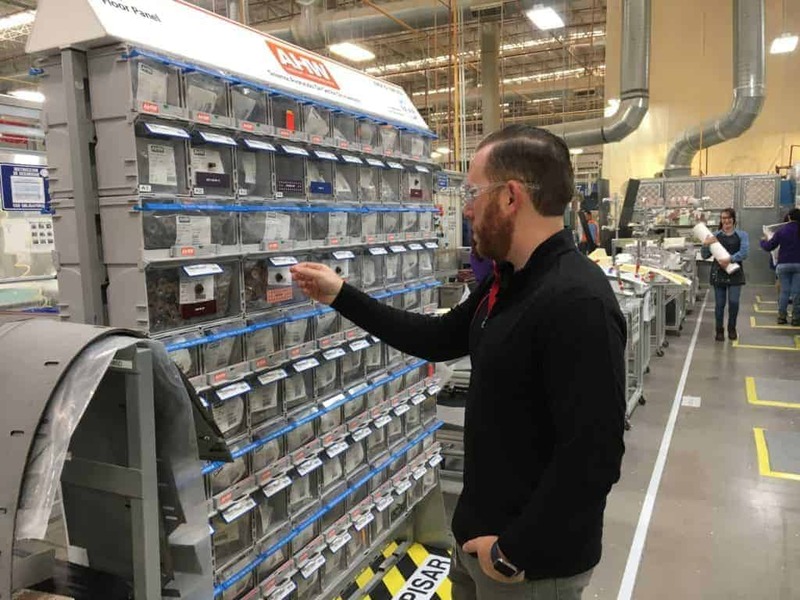 By reducing waste, it means that everything passing through the kanban inventory system is adding value to production and anything not adding value is a waste. This concept is also known as Lean Manufacturing. The Two-Bin System works on the concept that there are two bins per product line. This is often utilised with plastic open bins. 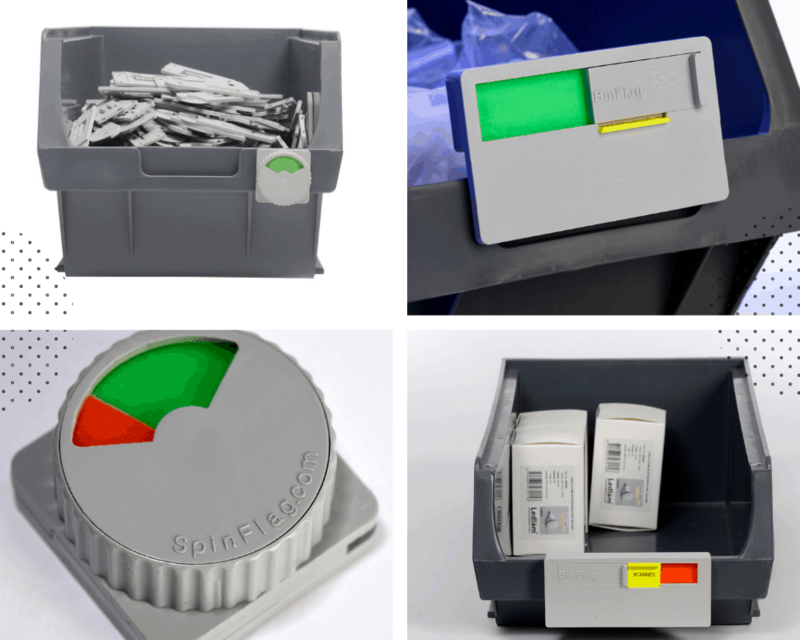 There are different ways to incorporate the Two Bin Systems, such as using different coloured bins to represent different stages in the inventory cycle or using different coloured barcodes at the front of the bins. The bins are often housed in a form of racking and work on a front to back system, with the reserve stock being placed at the back. Once the front bin has been exhausted, the operator simply starts working from the back bin and can place the empty front bin in a location to signal the re-ordering process. Once the next batch comes along they just place this behind the bin that is in use and then the cycle can continue. This option is an easy way to implement your kanban system and works well with both large and small components. If you are unable to change the layout of your storage areas but want to implement kanban, this is a great place to start. 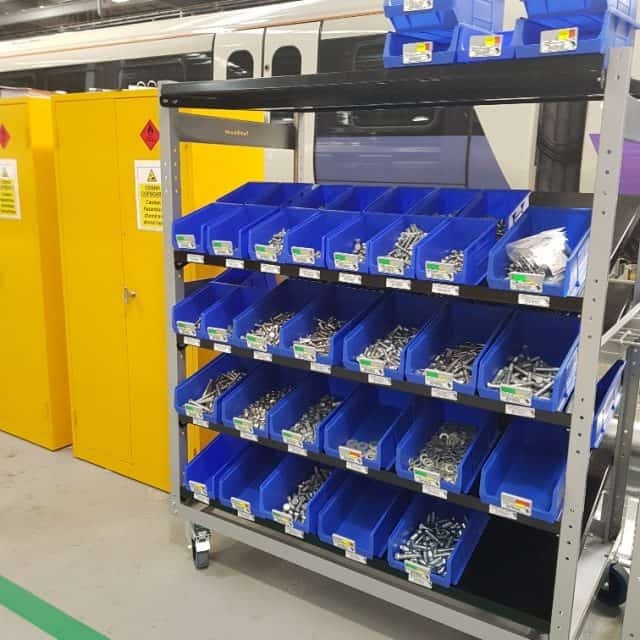 Stock Indicators are conscious of space requirements and are available in 3 different sizes meaning you can attach them almost anywhere to start your kanban journey. The TwinBin System by TwinBin.com is an innovative kanban system based around the concept of the Two Bin System discussed earlier and here. Instead of having two-bins operating on a front to back system, the TwinBin System works with a top and bottom chamber. Once the stock is removed from the bottom ‘in use’ chamber, the operator simply pulls the slider in the middle to access the reserve stock. Once the slider is pulled, the innovative Flag pops up to display a red signal meaning that more stock needs to be ordered, whilst providing enough product for the operator to continue working. Once more stock in on the way the flag can be set to yellow displaying this status. Once more inventory is available, this is placed into the top chamber and the flag is set back to green, ready for the cycle to continue.